Inuits might have over 50 words for “snow,” but Bay Area natives have hundreds of terms for “broke boy.” On his latest video single, Vallejo’s KiingRod introduces the world to the word “Chimmy,” a word that describes a special breed of broke boy–the kind that has nothing, yet hates those who shine. Kicking off with a reckless and aggressive verse from DaBoii of SOB X RBE, “Chimmy” finds the two rappers shouting down lames and finding ways to fill their bags, attacking the “Eye of the Tiger”-esque instrumental. In the video, the two rappers glow up under neon lights, throwing cash and showing off their jewelry. “Chimmy” is KiingRod’s latest video since the release of Just The Beginning, a compact set of slappers that helps KiingRod standout in the crowded landscape of Bay Area rap. With an irrepressible energy and a facility with threatening punchlines, KiingRod has a long career ahead of him. Rocking a tireless delivery over glistening post-hyphy beats, the SOB X RBE affiliate flashes huge potential, creating mob music with genuine emotion that explores the contrast between his rough childhood and flex-heavy present. Distributed by EMPIRE and premiered by Daily Chiefers, Just The Beginning features previously released highlights such as the deliriously condescending “Bank Roll,” which boasts a standout verse from YBN Nahmir, and the infectious “Viral,” featuring Sick Wid It Records’ JT The 4th. With additional appearances from Yhung T.O. 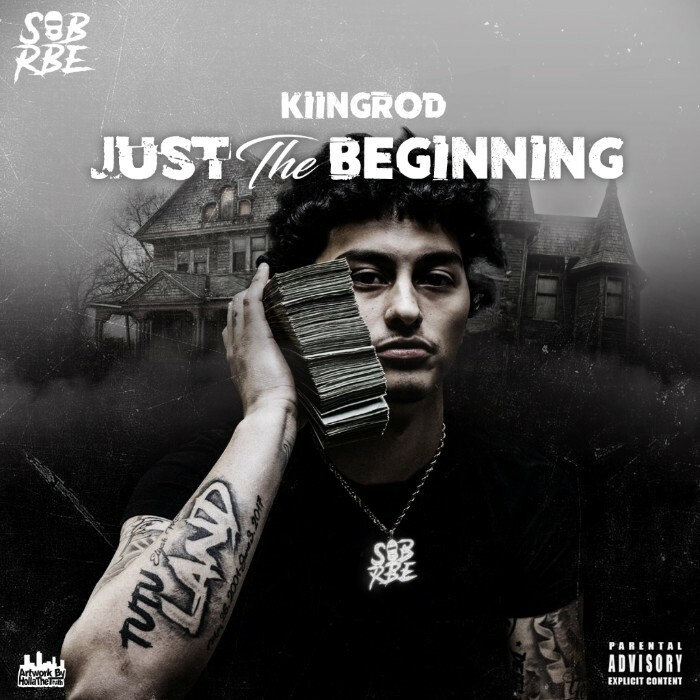 of SOB X RBE, Lil Sheik, Flexcity Streetz, Lil Noonie, and Kbgocrazy, Just The Beginning delivers on the promise of cult hit singles such as 2017’s “Knockdown” with ten ferocious new Bay Area bangers.